Every year our school organizes an event called ‘Kopernikalia’. On 21st March students from our school organized different kinds of games and entertaintment. Only students who attend I and II classes took part in these games. The main competition – “Familiada” – won the invincible team named “Ciotki Klotki” from the first class, 1c. Each team had to answer the questions which were connected with some kind of information connected with our high school like our own school traditions and habits. The top three teams got diplomas as a reward. Not only was it a chance to laugh, but also to integrate with others. Between competitions pupils showed their talents like singing or dancing. Despite skipping some lessons, we could learn different things, for example how to dance cha-cha. Our colleagues showed us some steps. Everybody could join them and have a lot of fun. Unfortunately, some students stayed at the back, but we believe that they will try next year. We hope you all enjoyed it and we are looking forward to next “Kopernikalia”. 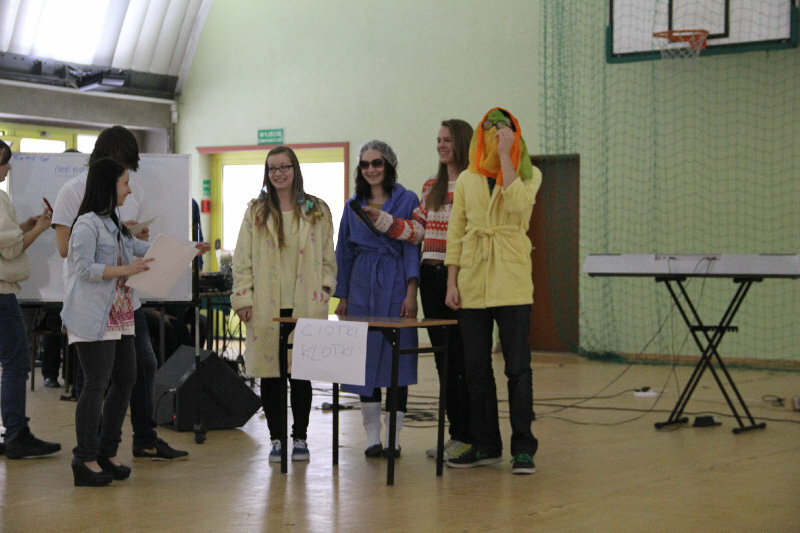 During Kopernikalia four people of our class – I c took part in a competition called „Familiada”. We wore unusual clothes and we called ourselves „Funny Aunts”. We had to answer the questions connected with knowledge about our school. Even though they were not easy we managed to answer most of them and we won the whole show! We were incredibly shocked and excited! It was truly hilarious! We had a really great time! OPEN DAY – Thank you all for coming! On 13th March there was an ‘Open Day’ at our school. It allowed students of Junior High Schols from Częstochowa and the province to see our school from the inside, to feel the atmosphere of what it is like to attend school like that. Those who decided to come to our school had a chance to get help from students from second level who showed them around the school. The most interesting place for them seemed to be a PE sports arena where all the exciting things about all subjects were presented. The students from class 1 a presented a chemical presentation. Those from 1f presented our English Language Website. There was also a play performed by participants of our school theatre group called ‘Hanging Cat’. Their performance was one of the most interesting parts of the show day. At that day a multi-medial presentation of VII LO has been also available to the students. ‘Open Day’ attracted as many as 560 students from all schools around Częstochowa. Once again we can say a word of encouraging – see you in September 2013 !!! 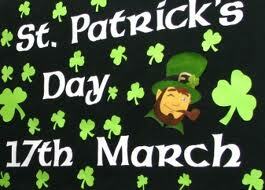 Saint Patrick’s Day is celebrated on March 17. Although it was originally an Irish holiday, it is now celebrated in many other countries, when Irish communities live. It’s very popular in the United States, Canada and Australia. Large – scale celebrations are also organised even in such remote places as Japan, Singapore and Russia. The holiday commemorates the death of Saint Patrick, a missionary who converted the Irish to Christianity in the 5th century. Saint Patrick was actually born in Roman Britain, but then he was kidnapped and brought to Ireland as a slave at the age of 16. The legend has it that he banished all the snakes from this country, which is now considered just a metaphor for the triumph of Christianity. He is also said to have used a shamrock, a three – leaf plant, to explain the idea of the Holy Trinity to the Irish people. From that time onwards, the green shamrock has been recognised as a symbol of Ireland and is worn by everyone on that day. Nowadays, approximately 1 million people annually take part in Ireland’s Saint Patrick’s Festival in Dublin, a multi – day celebration during which they wear green clothes and take part in parades, concerts, outdoor theater productions or fireworks shows. 1. A: Why do people wear shamrocks on Saint Patrick’s Day? B: Regular rocks are too heavy. 2. A: Why can’t you borrow money from a leprechaun? B: Because they’re always a little short. 3. A: Why do frogs like Saint Patrick’s Day? B: Baceuse they’re always wearing green. 4. A: What do you say to a leprechaun? B: How’s the weather down there? We would like to invite all final year students from Junior High Schools from Częstochowa and the whole province to our school for a very special day. On 13th March 2013 we organize an OPEN DAY to present our High School. As the needs of both students and parents change every year, our offer has some modifications as well. JUST TO REMIND YOU, HERE ARE THE TYPES OF THE CLASSES FOR THE NEXT SCHOOL YEAR. COME AND CHECK!!! We start at 9 am!